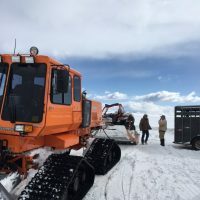 If you’ve hunted with us, you’ve probably noticed our hunts and camps in Western Wyoming, in the Greys River Valley. 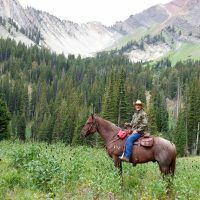 Well, not only do we get to hunt in this beautiful country, but in the summer our Jackson Hole Outfitters camp is home to horseback riding and overnight stays at our camp. LIMITED OPENINGS — DON’T WAIT! 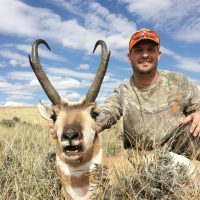 Book Your Hunt With SNS Outfitter & Guides Today If you are looking for an Antelope hunt to tell your friends about, look no further! 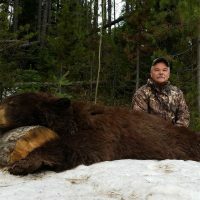 A Letter From A Hunter: Rich G.
Thank you for setting me up for such a memorable hunt. It was everything I had expected — and more. Without a doubt, David Cardinal is a first-class guide and an equally standout person. I am forever grateful for our hunt, and I’ll chalk it up as one of the top experiences of my life. Taco Tuesday’s — Elk Tacos for the Win! Who doesn’t love tacos, especially on a Tuesday? Well, don’t worry, we’re bringing you one of our favorite elk taco recipes. 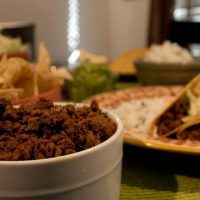 Not only is this recipe delicious, but it’s relatively quick to throw together and an easy mixup from the traditional tacos you may have. This recipe was inspired by Wild Game Cuisine; www.nevadafoodies.com. Due to popular demand, we’ve added an additional week to our spring black bear hunts! These hunts will take place from June 4th – 8th; and, we’re anticipating the remaining four spots will go fast. These availabilities are on a first-come, first-serve basis, so don’t delay! For details, please call us ASAP at 307-266-4229. We truly enjoy having a chest freezer full of organic, free range, self harvested wild game (venison). It’s truly a beauty to open the freezer and have a full selection of delicious meat to choose from that day. 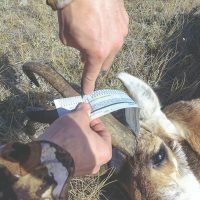 Another beauty of wild game is you can practically make ANY recipe with it. 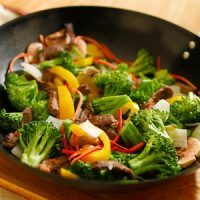 This month we’re featuring one of our go-to, easy, weeknight dinners; venison stir fry. Seriously, where can you go wrong with venison stir fry? Rare Spring Black Bear Opening: May 21st – 25th! It’s your lucky day! 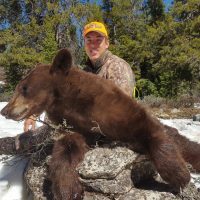 We’ve had a rare cancellation for one of our spring black bear hunts. This hunt takes place the third week of the season, May 21st – 25th. 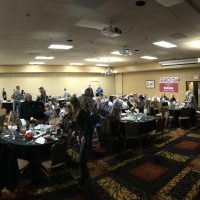 To secure your spot, call us ASAP: 307-266-4229. And, due to this rare cancellation, we’re giving a discount of nearly $900-off the regular price! Don’t wait! 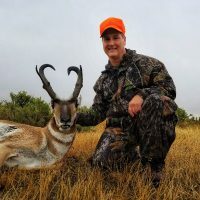 Book your fall antelope hunt today, just give us a call 307.266.4229.